There's still time to sign up for a 4-hour volunteer shift and be admitted to the PRESALE on Thursday at 3 pm! Dunwoody Parental Alert - Heroin is a growing problem in the Northern Suburbs! 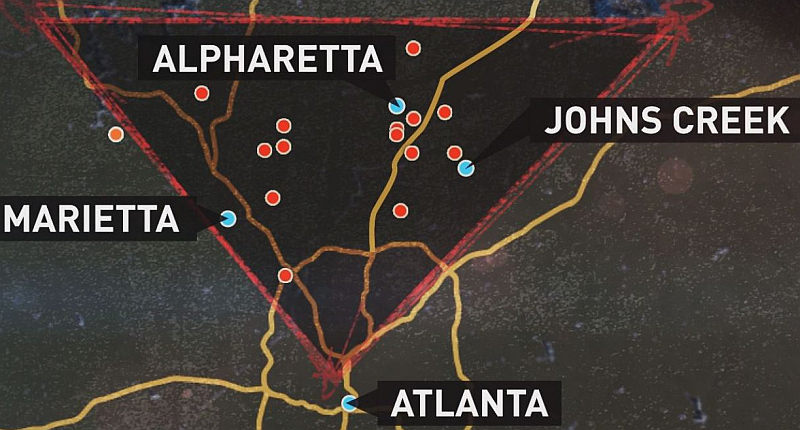 In Atlanta's affluent suburbs, there's a deadly secret. Heroin-related deaths have gone up by 3844%. The GBI confirms the fastest growing rate of heroin-related deaths is in a cluster of Atlanta's northern wealthy suburbs. That fact is hiding in state and county records. Inside the Triangle is the story of how 11Alive found the truth. 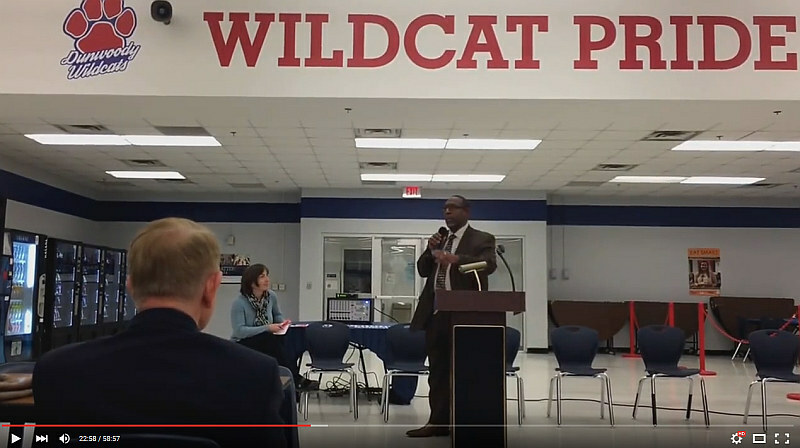 Parents of Dunwoody, please take a look at this story as your children are not immune - trust me, I know first hand that is a problem that we are as a community are dealing with and it is something that the City of Dunwoody takes very seriously. Bad boys, bad boys / What'cha gonna do? / What'cha gonna do when they come for you? The Dunwoody Police Department is looking for those interested in participating in the upcoming Citizens’ Police Academy. This is a great opportunity to meet members of the Department and to learn more about the responsibilities of each Officer. Some highlights will include SWAT, narcotics, gangs, traffic stops, and live scenarios where you play the Police Officer and we play the bad guys! 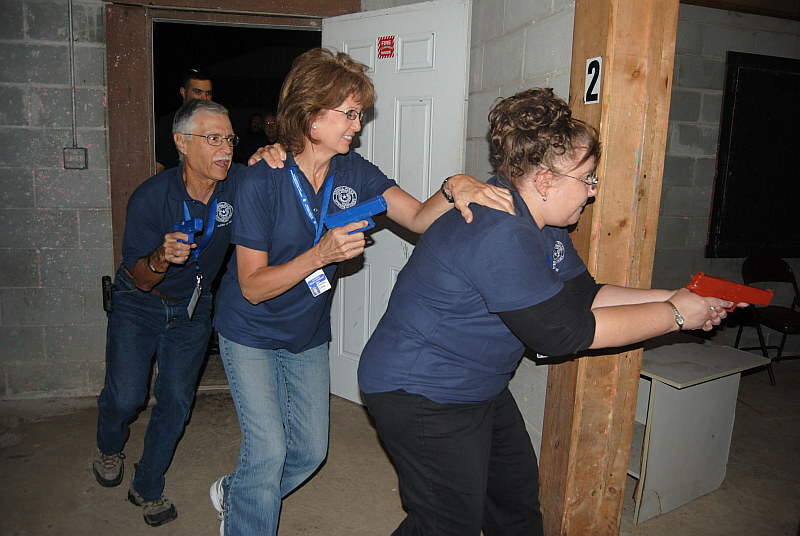 Citizens’ Police Academy Class #07 will start on Tuesday, March 22nd. Each class will meet on Tuesday evenings from 6:00pm to (approximately) 9:00pm. The course will run for ten weeks, with graduation scheduled on Monday, May 23rd. Please feel free to share this information with family members and friends. Applicants must be 21 years of age or older and either live or work in Dunwoody. Each application must be notarized, but the Department has notaries on staff so the applications can be notarized free of charge when delivered to the Department. Please contact me at (678) 382-6917 or via Email at mark.stevens@dunwoodyga.gov with any questions. Thank you! Driving home from a business trip Thursday afternoon I was listening to NPR when there was a wonderful interview regarding the Marcus Jewish Community Center of Atlanta - Jerry's Habima Theatre. 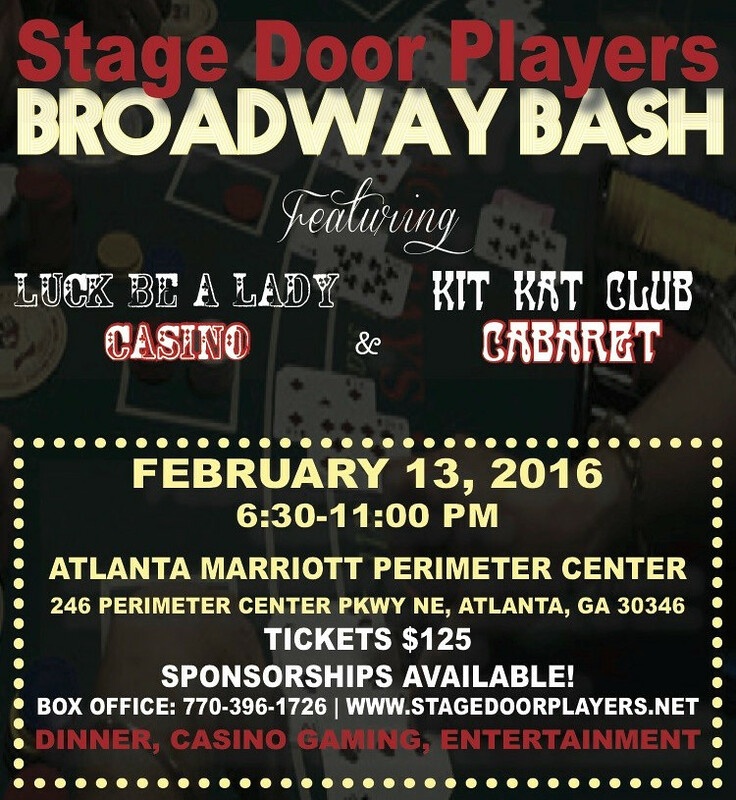 They are Georgia's only theatrical company featuring a cast of adult actors with special needs. These are adults with developmental disabilities like autism or Down Syndrome — and serious acting chops. Now in its 23rd year, Jerry's Habima Theatre stages one full-fledged Broadway musical a year. This year's production is "Shrek the Musical Jr.," and Mary Nye Bennett is the program's new director. Speaking with Lois Reitzes on "City Lights," Bennett explained that the company's crew members are true professionals, honoring the efforts and talent they're supporting on stage. While their rehearsals are longer than those at other theater companies, Bennett said that the actors "remind me every day that they can take more than I give them ... [that] I need to keep pushing them further." "Shrek the Musical, JR." opens February 25 and runs though March 6 at Dunwoody's MJCCA. 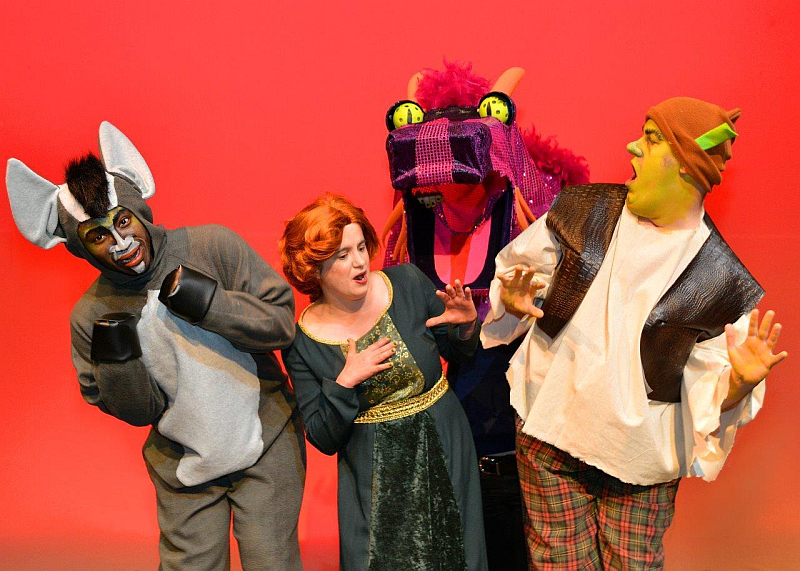 This year, the Jerry’s Habima Theatre cast will introduce the community to an ogre named Shrek, his noble steed Donkey, Lord Farquaad, Princess Fiona, and more in Shrek the Musical, JR. Hilarity ensues in the Kingdom of Far Far Away as this delightful musical takes twists and turns, challenging the perceptions of true beauty and romance. 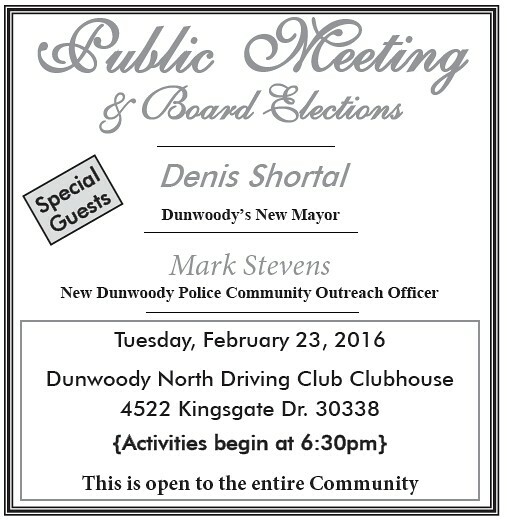 Dunwoody North Civic Association welcomes Mayor Denny Shortal to annual meeting tonight. Watch Live at 6:00 p.m.
Proclamation - Veterans of Foreign Wars Post 10822. Recognition of Officer Kerry Stallings for Receiving His Bachelor of Criminal Justice from Reinhardt University. Recognition of Officer Caleb Gilbert for Receiving His Master of Arts in Public Administration from Liberty University. purchaser, seeks to rezone property currently zoned Office-Institution (O-I) District to MultidwellingResidential-100 (RM-100) District to allow for construction of a 79-unit townhomedevelopment. The tax parcel numbers are 18 366 06 061 and 18 366 06 065 respectively. 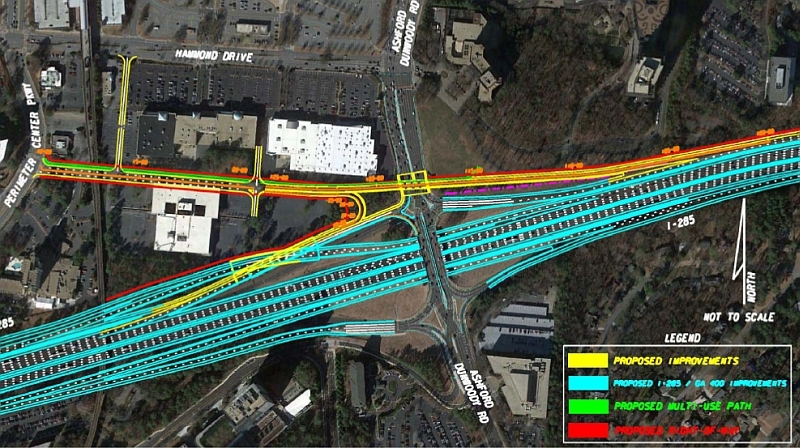 Approval of an Agreement with the Georgia DOT for the Perimeter Traffic Operation Program. Approval of a Contract for Design of Peeler Road Bicycle and Pedestrian Improvements. Dunwoody Homeowners monthly meeting on Monday Feb 15th to discuss several large development projects. Monday, February 15, 2016 @ 7:30 P.M.
6. Update on Adopt-A-Spot at Peeler and Winters Chapel—Bill Grossman. Approved zoning already in place prior to Dunwoody Incorporation. 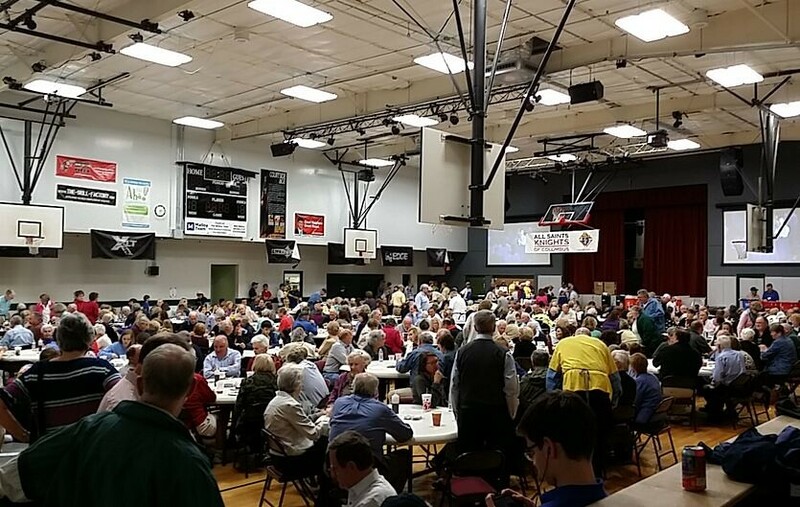 All Saints Friday Night Fish Fry served over 8,000 meals in 7 nights last year. Come see what you are missing! 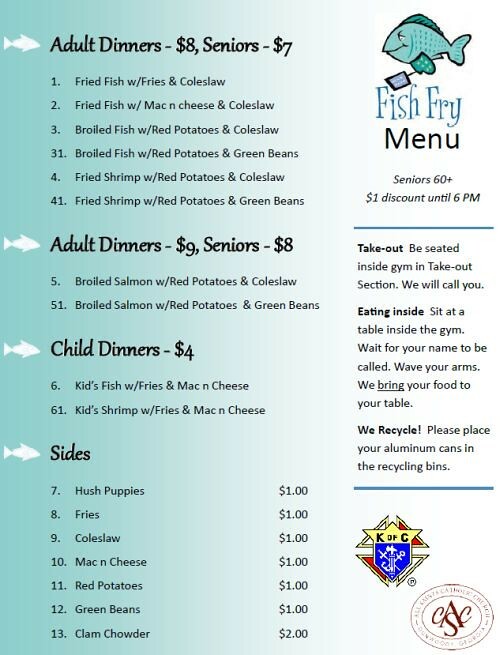 As a member of the Knights of Columbus at All Saints Catholic Church, I can tell you that the quote in the AJC is correct; the Friday night fish fry is very busy but the service is incredible. At one point last year we were serving a meal every 13 seconds and all of the funds were pushed back into community charity work. Times: 5 p.m. – 8 p.m.
Additional Info: Senior (ages 60 and up) discount is $1 per dinner from 5 p.m. – 6 p.m.
Georgia's largest home and auto insurer is on a hiring binge, and raising wage as well. Channel 2 Consumer Investigator Jim Strickland broke the news on Twitter Thursday morning that State Farm would add 1,500 more employees to its Atlanta operations by year's end. The company's starting minimum wage is climbing from near $13 per hour to $15.50. Ryan Lewis told Strickland that he got a raise his second day on the job. "Anytime someone says, 'You’re going to get this,' and then says, 'Oh, by the way, we're going to give you more,' that's a great feeling," he said. The wage adjustment is hoped to better attract that new crop of workers. "We're looking for jobs in our customer contact centers. So we're looking for people that are experienced in customer service, sales, maybe have some retail background," said recruiter Alana O'Neal. 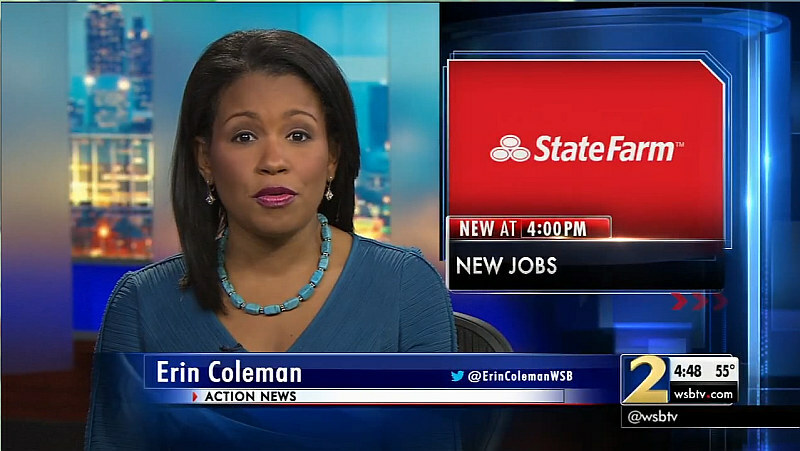 Atlanta is one of three State Farm regional hubs. The company, now spread out in nine buildings, will centralize in a new 1.5 million square-foot tower near Perimeter Mall. "Our presence in Atlanta will be about 8,000 (employees) when this is done, most of whom will be based here," said State Farm spokesman Justin Tomczak. The company stresses more than half of those new workers will qualify to start above the new $15.50 minimum. State Farm is taking applications for those new jobs on their website. Please buy Tickets in advance - $125 per adult. 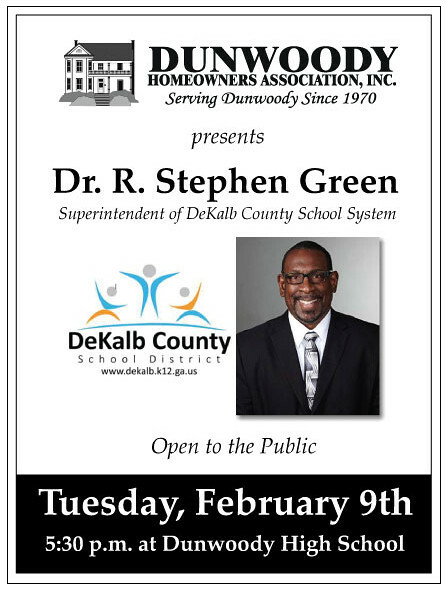 The DHA is hosting a meeting with Superintendent Green today, Tuesday Feb. 9th at 5:30pm. The meeting will be held in the Dunwoody High School media center. It is open to the public and everyone is invited. Questions for Dr. Green will be submitted on index cards so we can avoid duplicate questions. 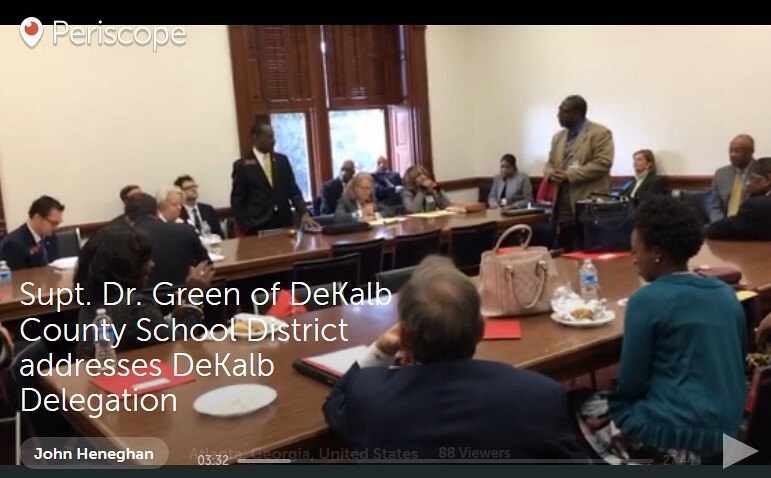 Monday afternoon I had the pleasure of being at the Georgia Capital where Superintendent Green and Chairman Melvin Johnson spoke to the DeKalb Delegation. I shot some video on Periscope and have posted it below. Remember that this is automatically deleted in about 24 hours so if you are interested in seeing this please watch in the morning. 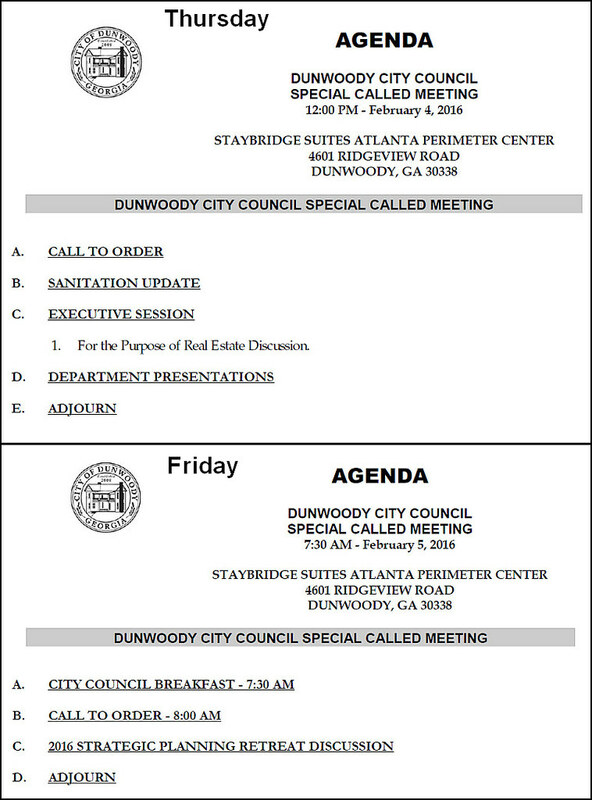 Dunwoody City Council Agenda Feb 8th - Townhomes, Audit, DV Pkwy Sidewalks, Audit, street sweeping. Georgia City-County Management Association 60th Anniversary. 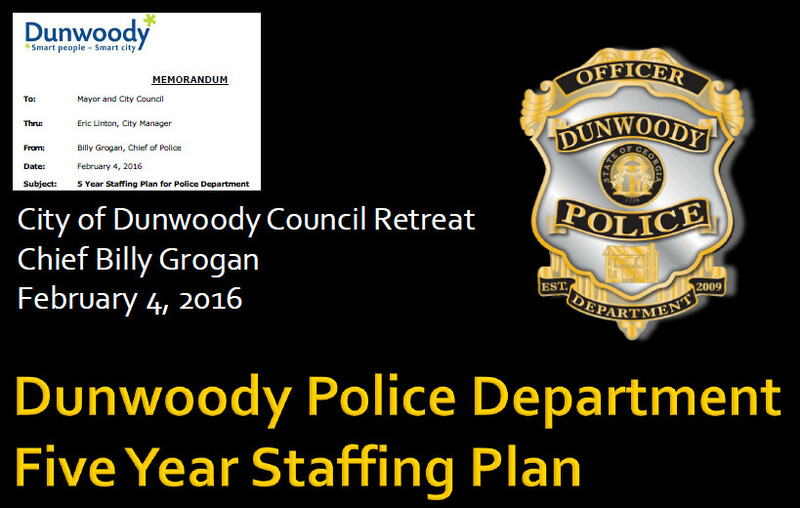 City of Dunwoody to hold strategic planning retreat this afternoon & all day tomorrow. I don't have the complete list of topics but I am looking forward to the discussions, that being said, calling a 12 hour meeting a "retreat" is just wrong. This is open to the public, please join me.